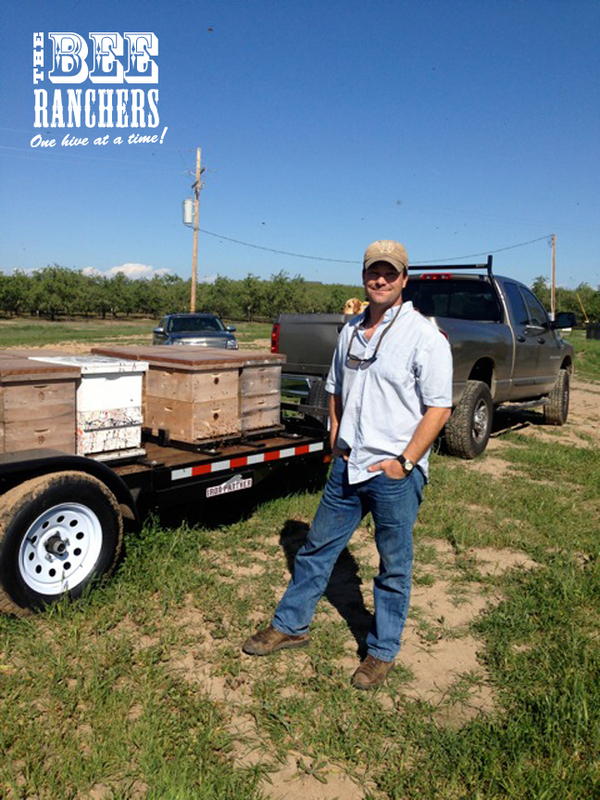 Mike (Ranch Foreman) has put his time in driving around and assisting folks in taking care of and capturing swarms. In fact he has driven around all over the Bay Area in this effort. 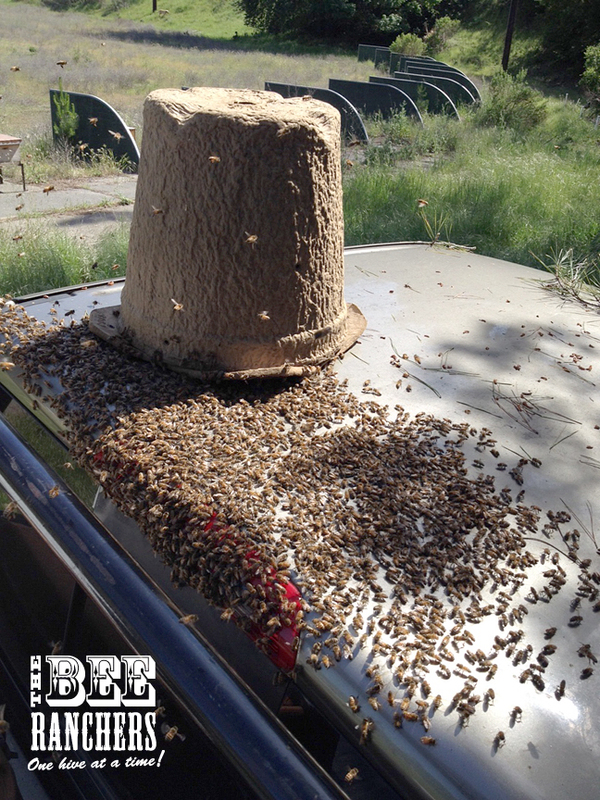 So you can imagine his surprise when he ran into a swarm at the Bee Rancher staging range! A couple pics of the action. 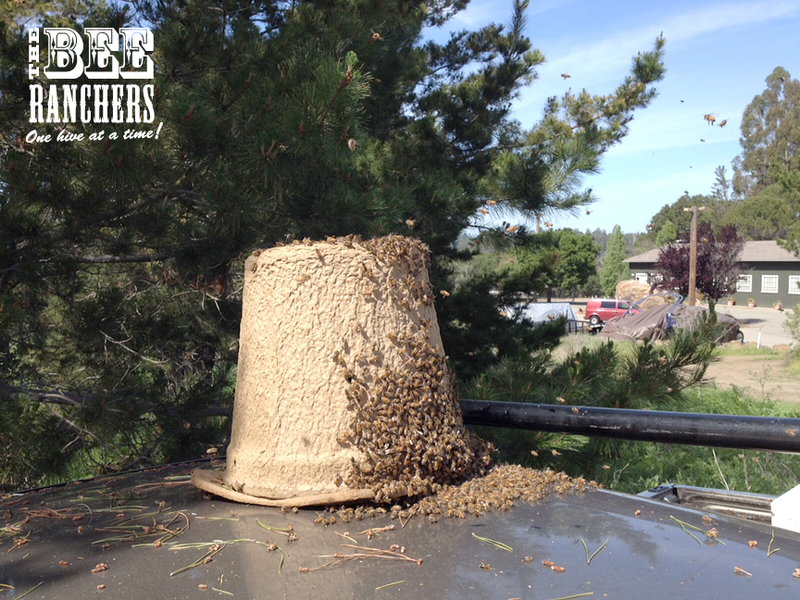 Remember, if you see a swarm, don’t be alarmed! They are at their most docile state. Give them some space and call an expert to relocate them. Never harm the bees or let someone call an exterminator. 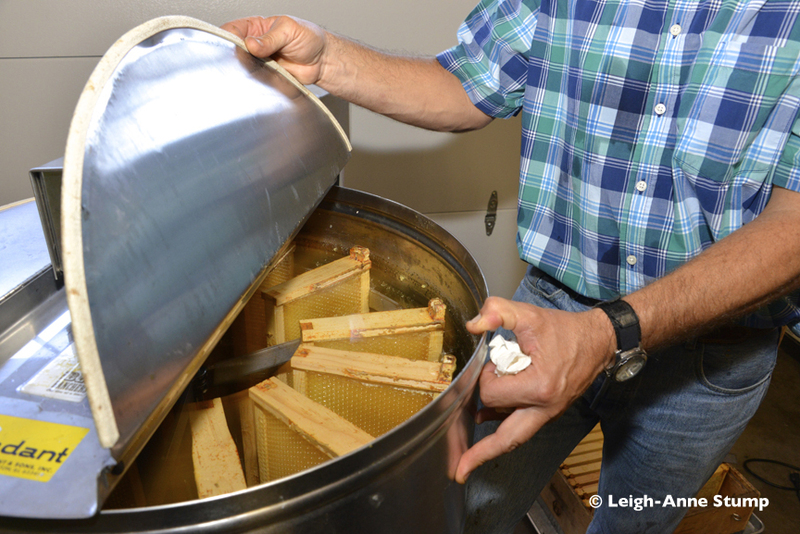 Honeybees are a priceless resource for our environment and well being. 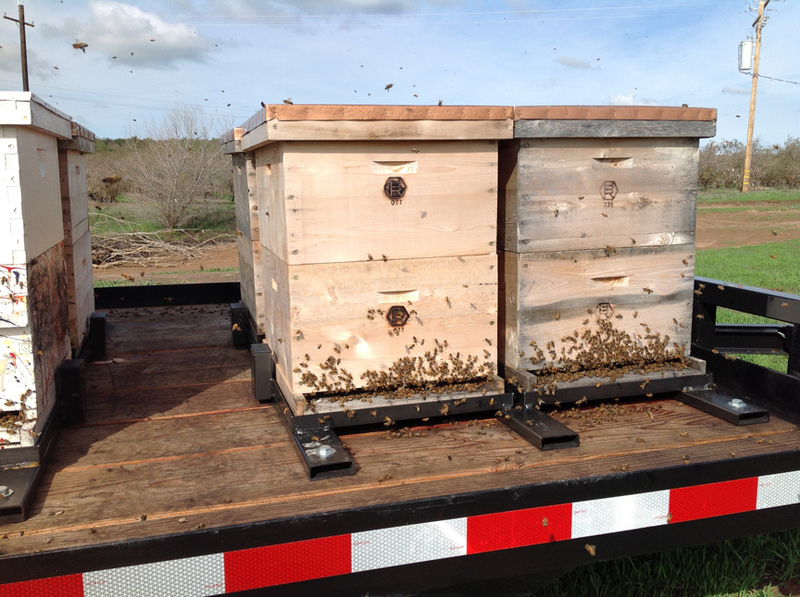 Recently I trailered a number of hives out to the central valley to pollinate the almonds. This is the Bee Ranchers first time we have entered into a pollination contract with a grower and so far my experience has been terrific! 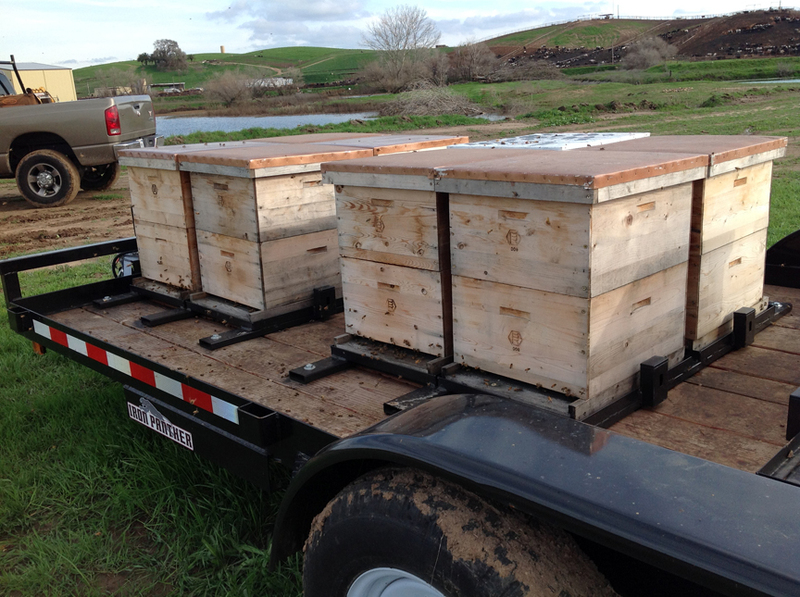 I woke up early on February 12th to deliver my bees to my designated location where the grower was nice enough to allow me to park my trailer in a spot close to water and out of his way of equipment. This meant that I didn’t have to unload my hives off my trailer which is both a back and time saver. 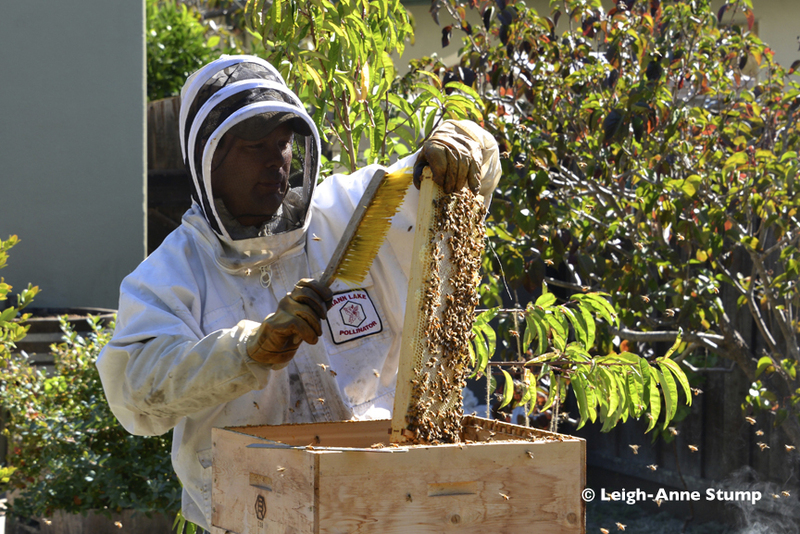 A few days ago, I drove out to the almond orchard to make sure they were there (there have been a number of hives stolen recently), check in on my bees (they are doing great, see pics and video) and treat them for mites using MAQS. The day was partly cloudy but in the 60’s, the earlier blooming trees have mostly been pollinated (their petals had fallen to the ground) and I am now just waiting another 14 days or so for the later almond varietals to come into bloom. My main factor for taking hives to the almonds is food stores. 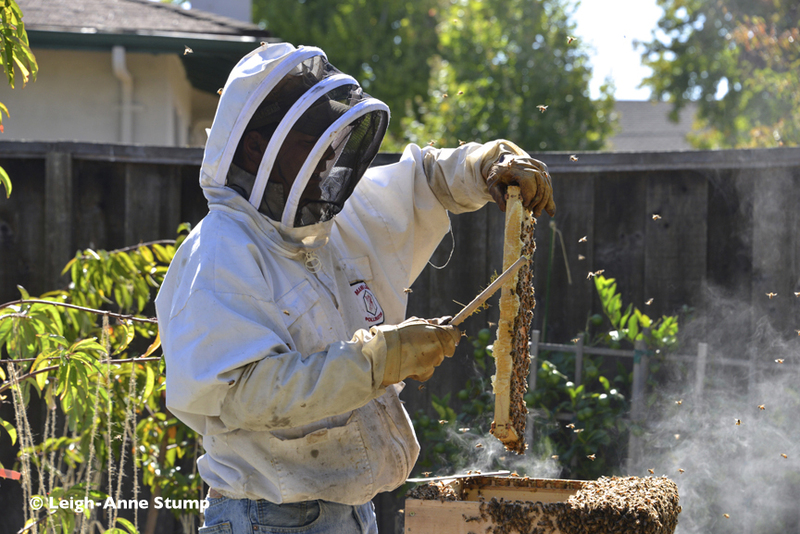 With the drought California is experiencing, I am very worried about lack of forage in the summer and don’t want to feed my bees if I don’t have to. 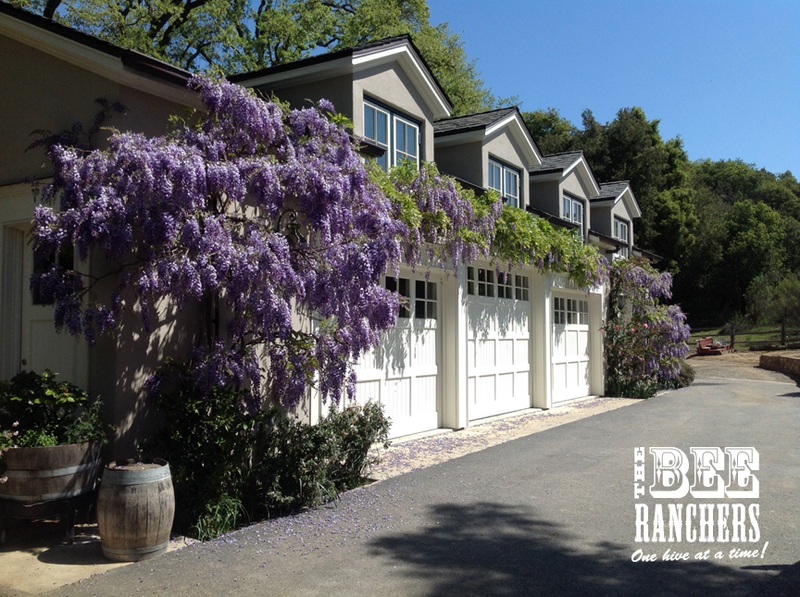 With the almond trees in bloom, I am hoping that my bees can take full advantage and store up a ton of pollen and nectar that will help them get through the summer months. By all indications yesterday, that is happening. 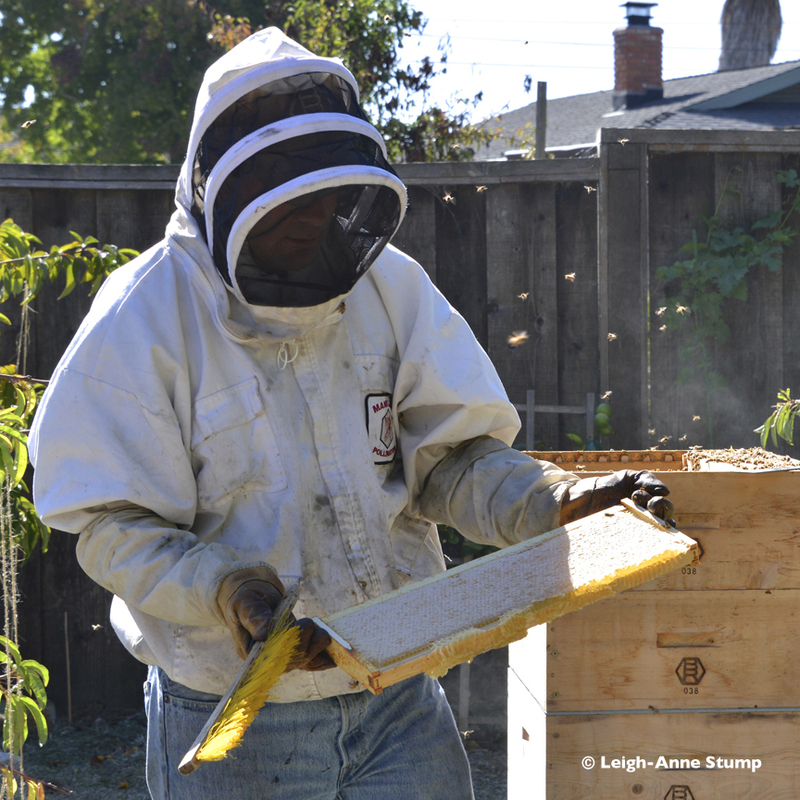 Once I bring my bees back, I will add supers to them so that the strong colonies can begin to fill them up with spring wildflower honey here in the Bay Area. These hives in the almonds seem to be much stronger then a few I left behind and I am pleased with how things have turned out so far. Swift Real Estate Partners doing the right thing! In this day and age when most of us think about how fast and cost effective we handle certain obstacles that confront us, it is refreshing to know that some people and businesses overcome barriers the right way instead of the most cost effective way. Case in point, Swift Real Estate Partners of San Francisco. 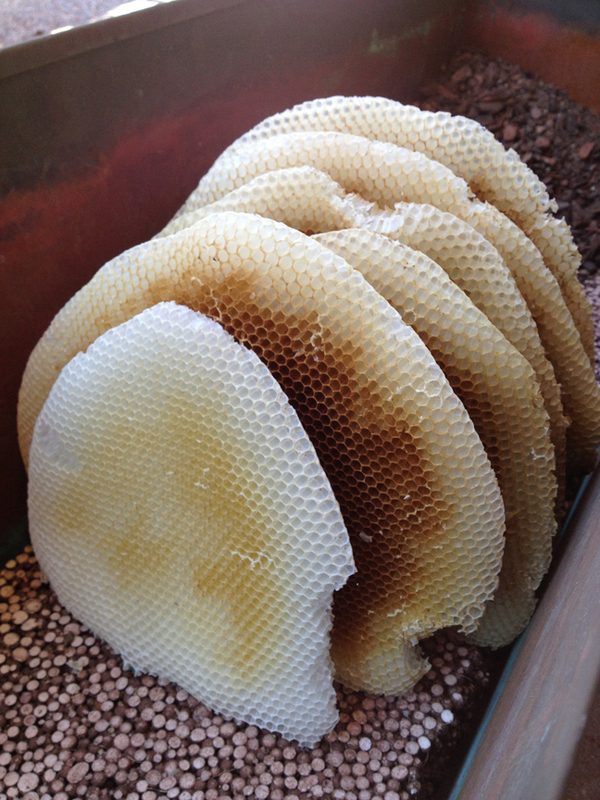 I was contacted by SREP to help them with a feral colony of honeybees that had made their home in the 3rd floor planter box at one of their buildings they own in Concord. They didn’t mind the bees necessarily, but on windy days the bee’s flight pattern would end up closer to the sidewalk and entrance of the building to the point that they were becoming a nuisance to visitors and tenants entering the front doors. 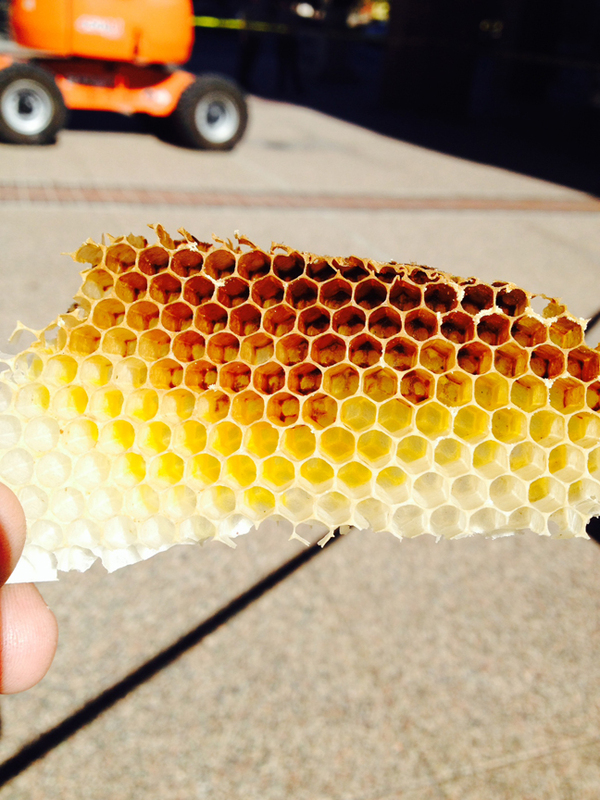 SREP could have very easily dealt with the honeybees by poisoning the bees and leaving it at that. 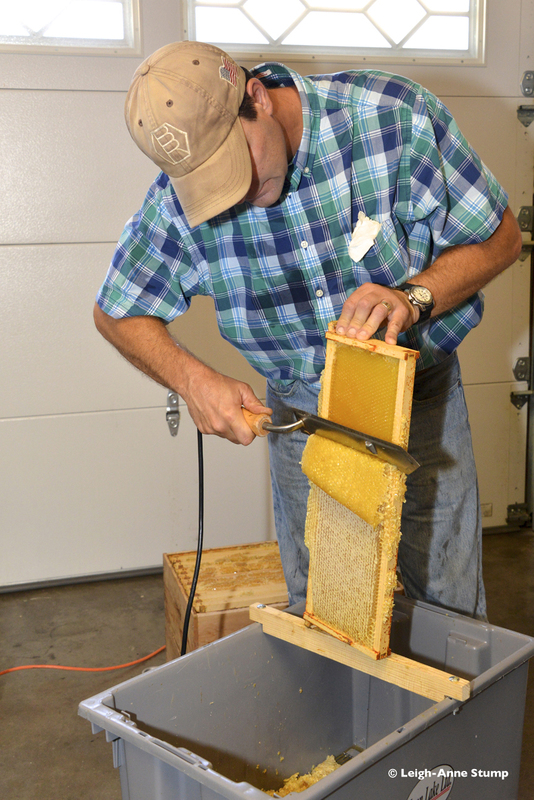 Instead, they hired the Bee Ranchers to come out and remove the bees, re-hive them in a Bee Ranchers bee hive kit, re-locate them to another location on their property and have the Bee Ranchers manage the colony! A couple of weeks ago I went out to the site to meet up with SREP who had gone to the expense of renting a lift so that I could get up to the 3rd floor planter and remove the bees. 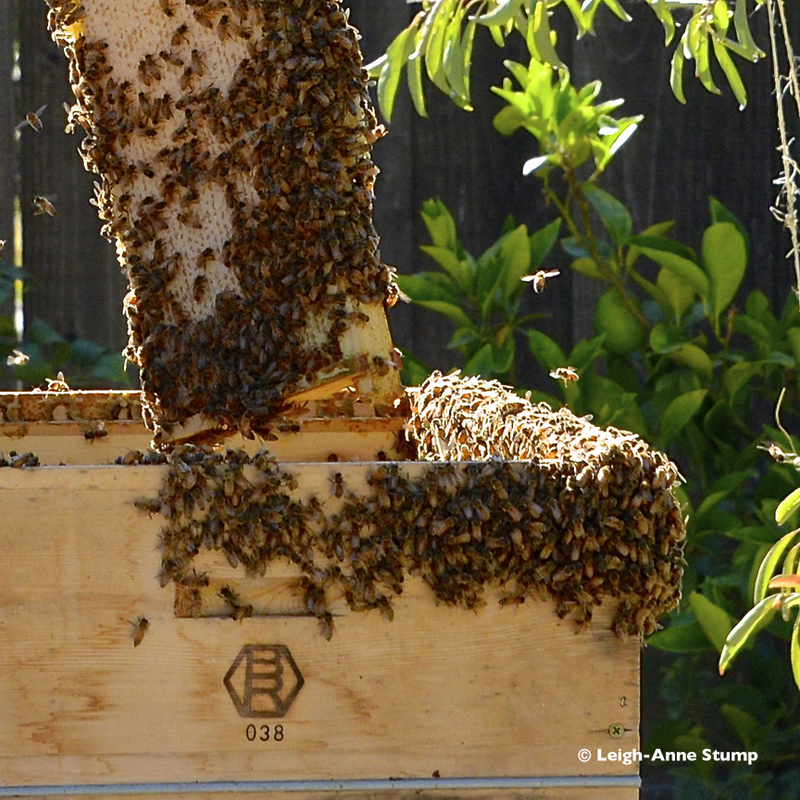 Once I was lifted up to the planter to begin the removal process I discovered the bees had absconded their hive. 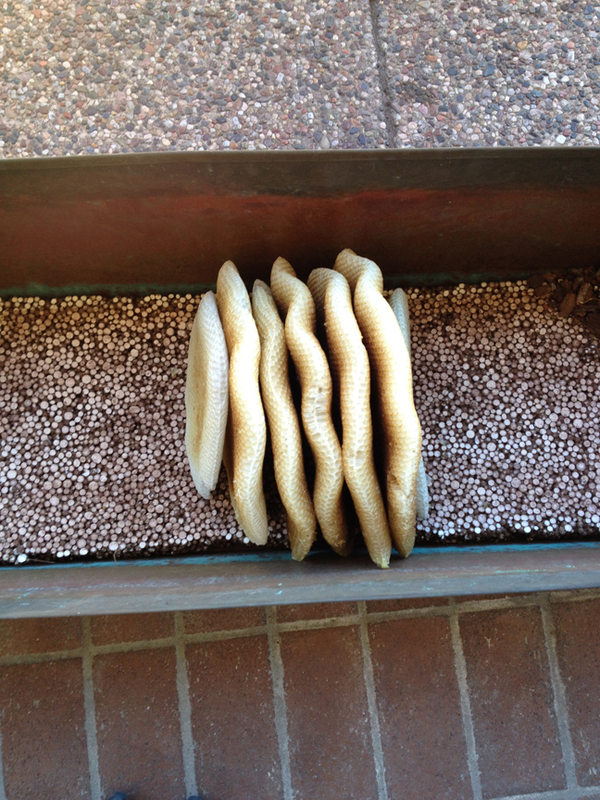 After removing the planters to get to the empty comb it looks as if these bees left due to lack of food stores. The comb was beautiful and the bees had attached it to the underside of the planter boxes in the void underneath the planters. 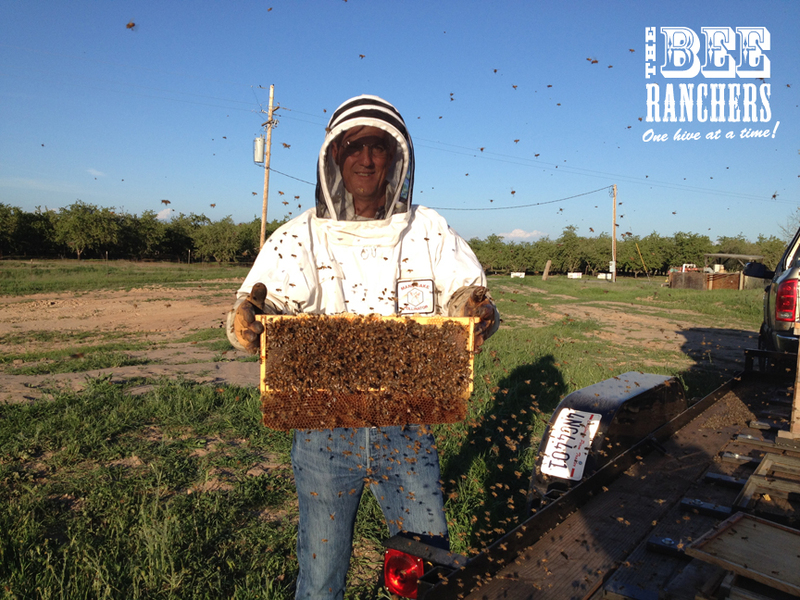 Although we were not successful and end up with bees, we did clean up the site, we discussed ways to prevent bees from coming back and the Bee Ranchers was able to educate a few more people on honeybees and why they are so vital to preserve. 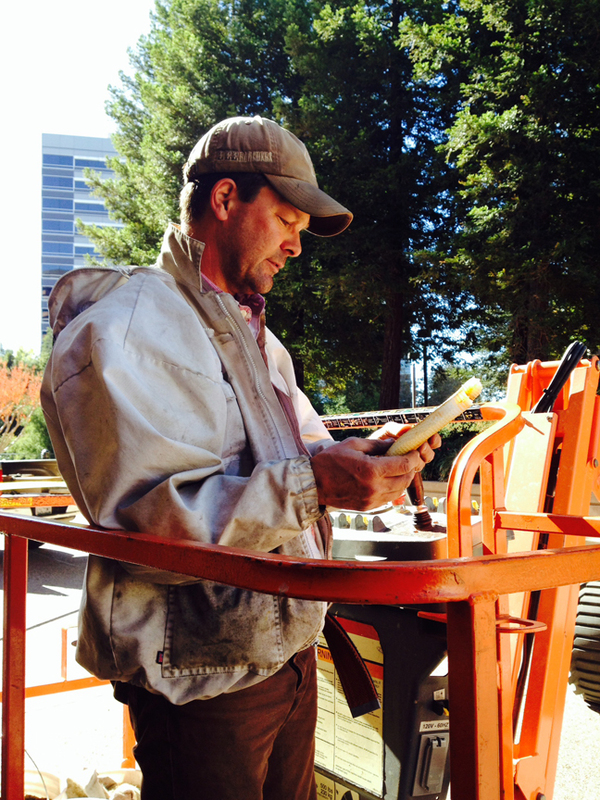 I tip my hat to Swift Real Estate Partners for going the extra mile to help out our friend the honeybee. All photos courtesy of Swift Real Estate Partners.